This 40 storey Melbourne apartment tower is more reliable than your local weatherman. 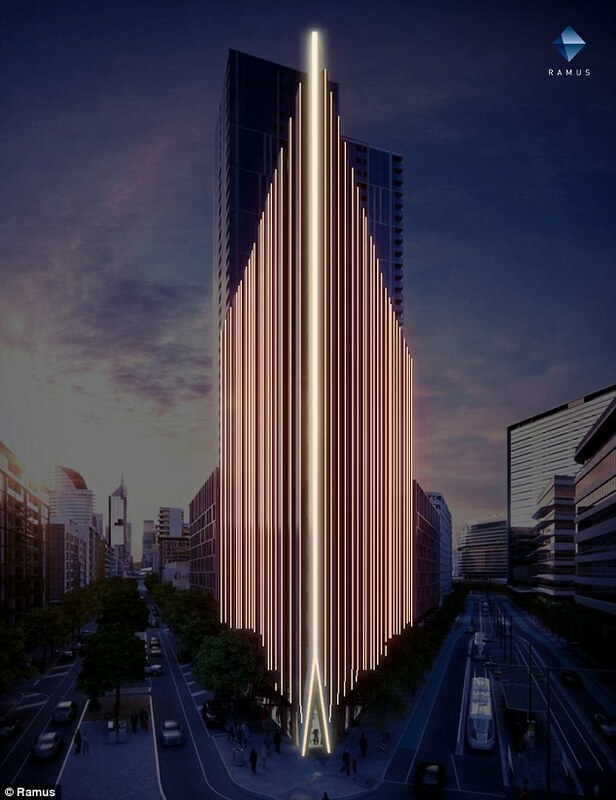 The Lend Lease building in the city’s Docklands suburb will be outfitted with 250,000 LED lights that will visually interpret data from Australia’s Bureau of Meteorology. The installation was conceived by Canadian lighting expert Bruce Ramus, who previously designed shows for bands like U2, The Rolling Stones and David Bowie. During the day the building will appear normal, but at night it will be lit up by 50 meter-high (164 foot) beams of vertical LEDs that respond to changes in the weather through movement and color. Plus, every half hour the following day’s forecast will be projected onto the sides of the building. Ramus designed the light show to be slow-moving as to not distract motorists or pedestrians. It is meant to be a representation of natural elements not often seen in urban environments — like the sway of a tree in the wind or the swell of the ocean. 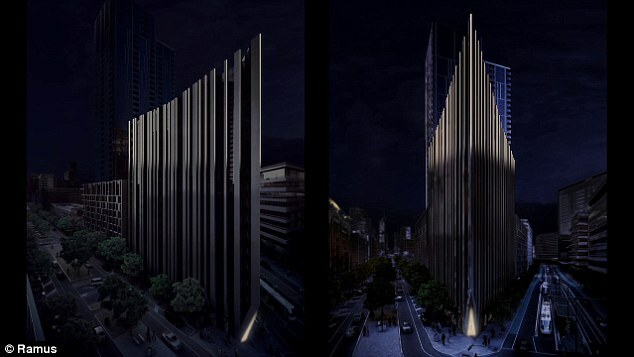 The apartment tower was designed by Australian architectural firm Woods Bagot and is expected to be completed by 2017. Check out the video below to see the light display in action.